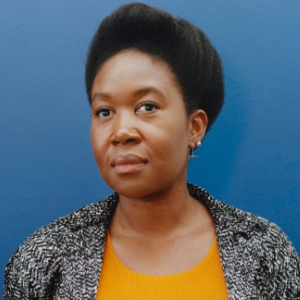 Natsai Audrey Chieza is an early pioneer in the application of design thinking to biofabrication methods and has spent 8 years working in the field of biodesign. With a background in architecture and material futures, she has moulded her career across disciplinary thresholds, blending her expertise of design with the knowledge and methodology of an international network of scientists and technologists. Through Faber Futures, Natsai is catalyzing the alignment of DNA-scale engineering with the methods and principles of design thinking to create meaningful value in a circular bioeconomy. In her TED Talk, Natsai sets out an agenda for a pollution-free future of fashion- pioneering work in the development of bacterially derived biopigments for use in dyeing textiles. Her groundbreaking approach has been exhibited and disseminated extensively around the world. She has taught on graduate programs at Bartlett School of Architecture and Central Saint Martins in London, and is co-founder and co-curator of Ginkgo Bioworks’ Ginkgo Creative Residency.